There's something psychologically colder about nights that get down into the single digits. Or maybe it's not completely psychological. 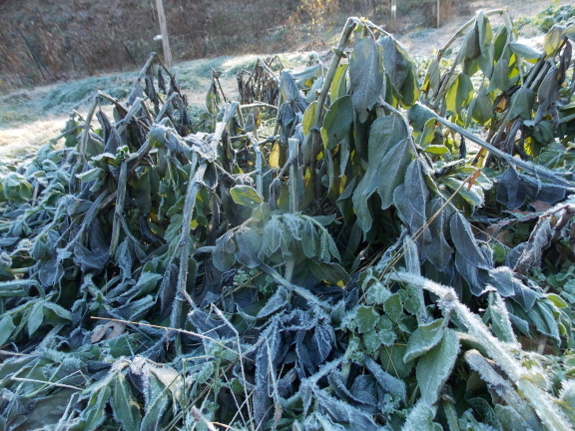 Gates freeze shut, my hands ache when I go out to do my morning chores, and the uncovered winter crops begin to die back. Last year at this time, we enjoyed a similar cold spell, but the lowest low in November 2013 was 15. 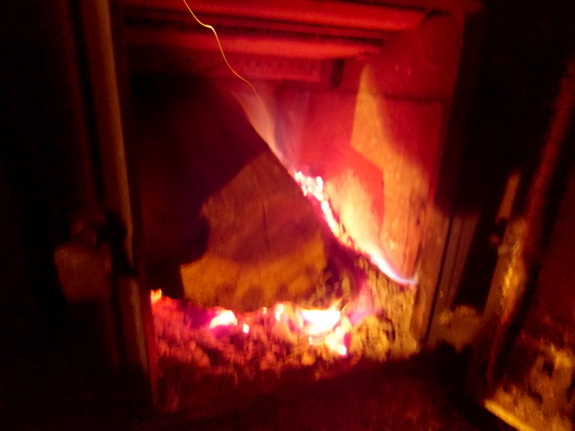 No wonder I ran through the firewood I had alloted for November 2014 by the middle of this month and have already started into December's wood. Everyone else on the farm is glad that we're due to enjoy a bit more fall weather this coming week as the current Arctic burst goes back where it belongs. But Lucy loves the cold, so she might be sad to see it go. 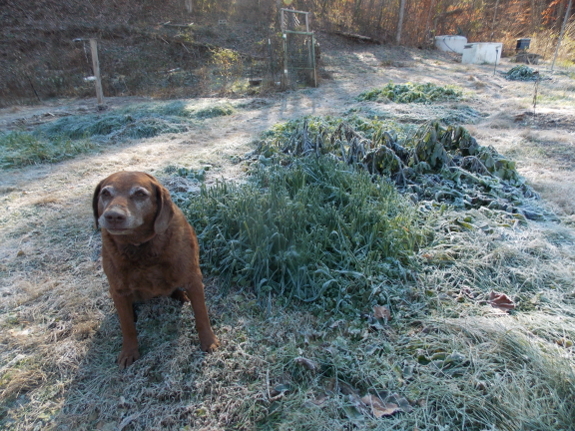 Don't worry, Lucy --- there are many more frosty mornings ahead! Brrrrrrrr. But Lucy is a cute "puppy". That dog has so much personality in her face.